August will be a time for me to cleanup my portfolio and ensure that the positions I hold are what I will be happy with for the long term. I have had the luxury of having free trades for a couple months when I opened a new account with my online broker. The market during the beginning of August was a nice change. The S&P500 dipped around 3.5% and I saw a lot of stocks that I wanted to buy come on sale. I have recently started a small new position in AT&T on 7/28 and Visa on 7/29. I traded some position in RTN and SDRL and WMT for 1000$ in Realty (O). I am currently eyeing several stocks that have dipped significantly. I have around $5200 of funds being added this month, and hopefully some of these stocks are on sale when the funds are finished transferring. I have also updated the look of the "Portfolio" page. 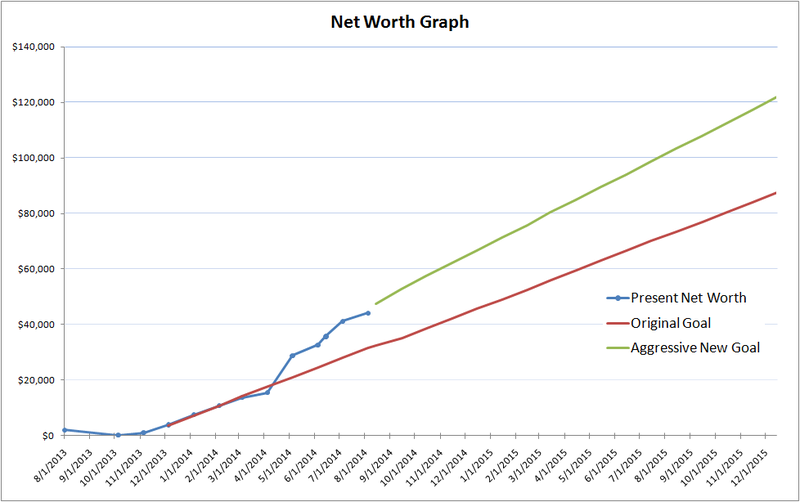 The "Progress" page has been updated with a new graph that has a more aggressive plan. The "Progress" page has also been updated to include a table of what stocks pay me dividends every month. I will continuously update this page as I buy more stocks and the monthly income goes up.